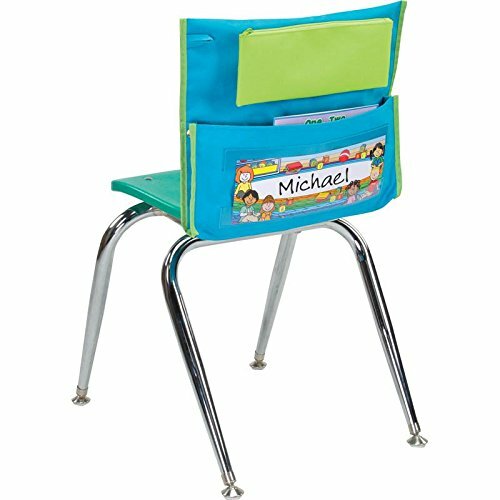 Sized for chairs in early childhood classrooms, each chair pocket is made of strong, woven nylon fabric with a stitched-on loop, a roomy storage pocket with open bottom corners, two metal rivets, a removable pencil case, and clear plastic tabs to hold the replaceable name tag. If you have any questions about this product by Really Good Stuff, contact us by completing and submitting the form below. If you are looking for a specif part number, please include it with your message.